I love technical watches. The ingenuity, the creativity, the flawless execution, the years of research and development required to realise them, they are what makes watchmaking so intriguing. 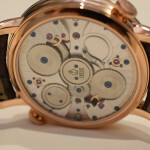 The only drawback however is that more often than not what makes a technical watch so, well, technical, is hidden away somewhere in the back of the movement obscured from view. 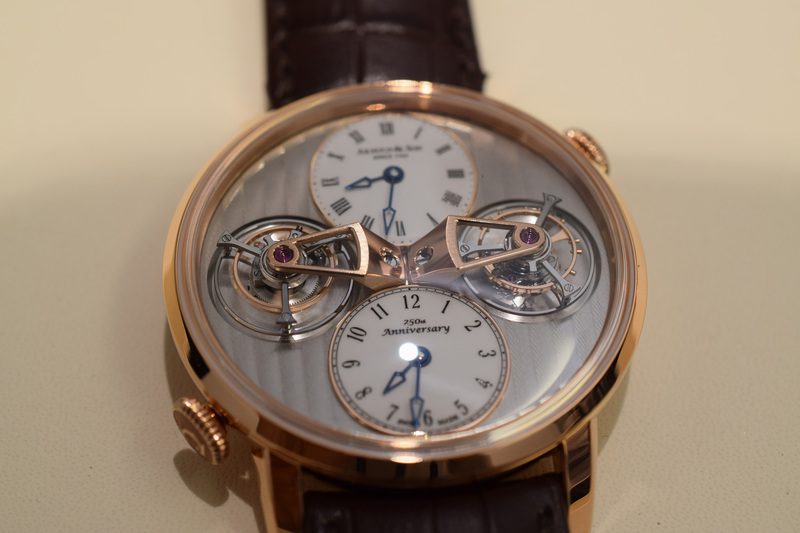 Not so with the new Arnold & Son Double Tourbillon Escapement Dual Time. You don’t get any prizes for guessing what makes this timepiece so special, it’s more or less written also across the dial, figuratively speak of course. And if that’s still not clear enough for you then it is literally spelt out in the name. That’s right, the Dual Time features not one but two tourbillon escapements, both of which can be clearly seen in all their glory on the dial. 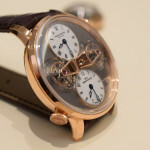 Undoubtedly the design will invite comparison with MB&F’s highly popular Legacy Machine No. 1, which also features a dual time display and exposed, suspended balance on the dial. Any similarities are more or less superficial however as the fact is that aside from both using two smaller sub-dials to indicate the respective time zones, these pieces could not be more different. 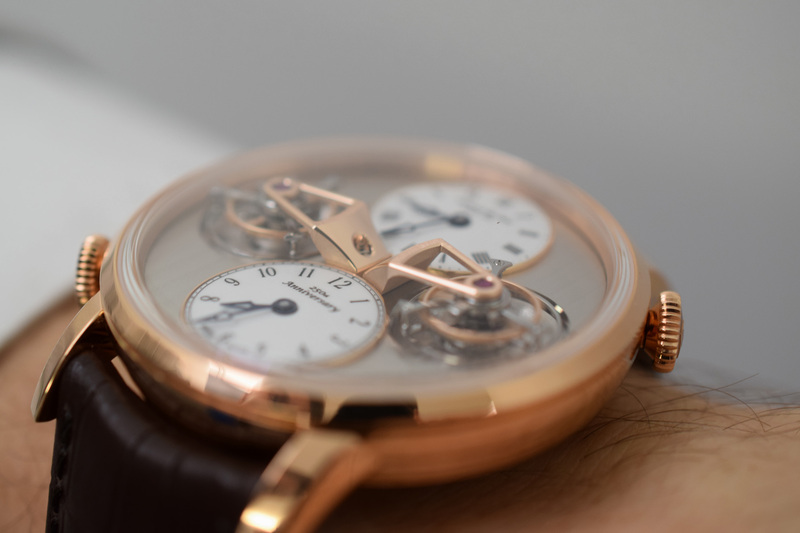 For a start the LM1 shares one common regulator (balance and escapement) between both displays (an incredible achievement in and of itself), whilst the new DTE from Arnold & Son has a dedicated gear train and tourbillon escapement for each display (hence the name). 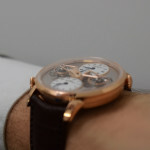 Furthermore, whilst the LM1 allows for both time displays to be completely independently set, the DTE only allows for the secondary time zone to differ from Greenwich Mean Time by quarter or half-hour increments. 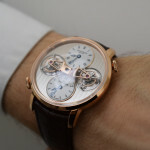 Aesthetically speaking the designs are also markedly different, the most obvious example being the fact that the DTE features twin tourbillon escapements, whilst the LM1 features a single escapement, which is not a tourbillon. 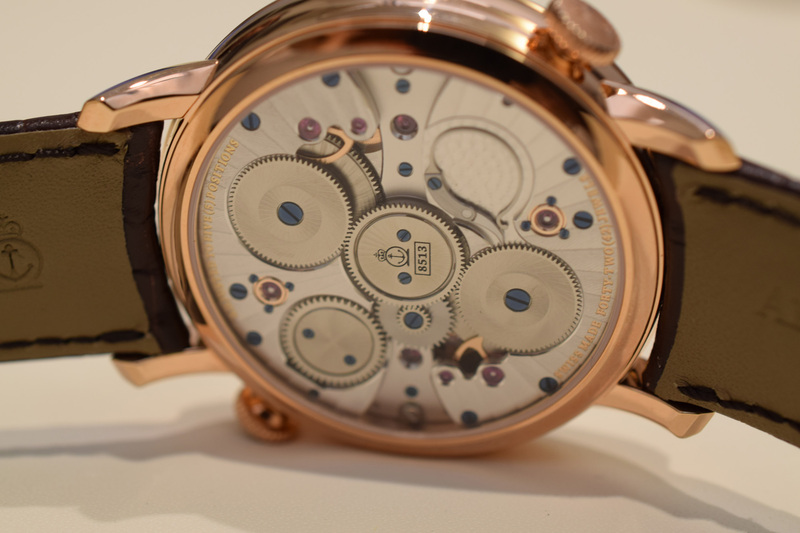 What both pieces do have in common though is a desire to recognize and celebrate the art of classical watchmaking. 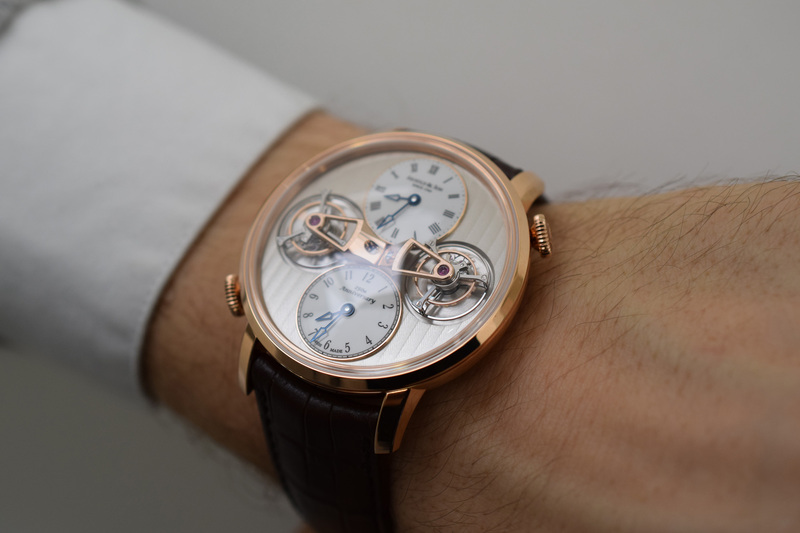 For Arnold & Son this means bringing back to life the centuries-old tradition of double movements, with a 21st Century twist. 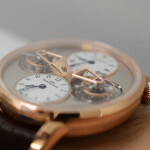 Now, this doesn’t literally mean two separate movements of course – although I am sure you will be more than pleased with the brand new hand-wound, double-barrel calibre A&S8513 beating behind the dial – but rather, as I’ve already mentioned, dual gear train and tourbillon escapements. 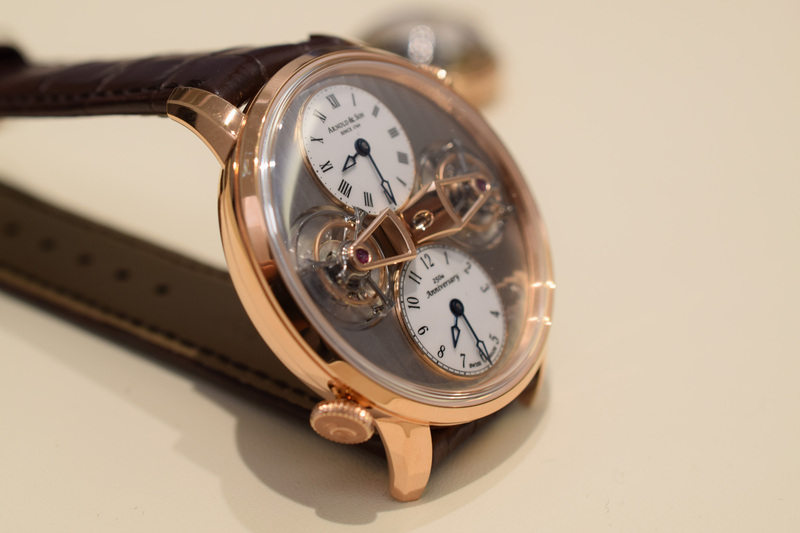 As you can see in the photos the escapements are suspended ever so slightly over the dial by beautifully constructed 18k red gold bridges, allowing them to spin without restriction in their allocated positions at 3 and 9 o’clock respectively. Completing the wonderfully symmetrical design are two white lacquered domed dials – one each at 12 o’clock and 6 o’clock – which are responsible for displaying the respective time zones. I particularly like how the top display has Roman numerals whilst the bottom one has Arabic. It’s a subtle touch but it really adds that extra something. 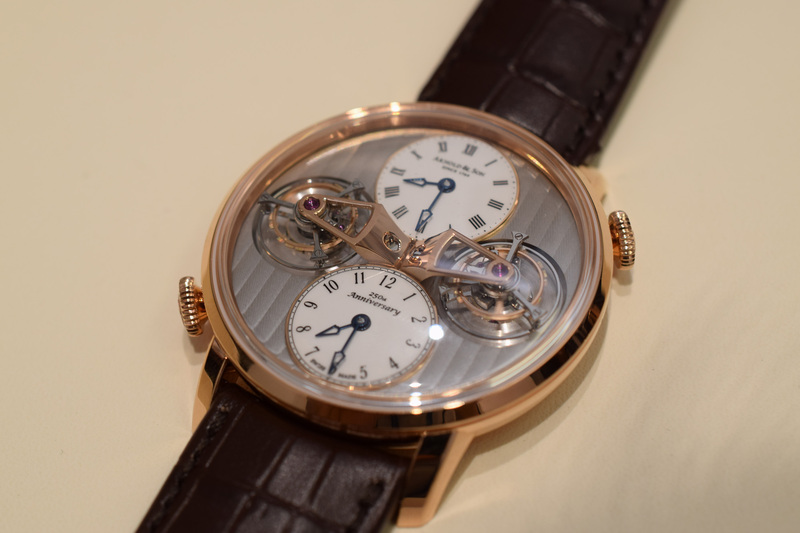 Perhaps what I appreciate most about the dial though is the things Arnold & Son have not done. They haven’t added any superfluous detail or additional indications that would simply detract from the purity of the design without really adding any value. Similarly they have resisted the urge to skeletonize the movement, which would have been spectacular no doubt, but would have detracted from the simplistic elegance of this piece. Instead a decorated vertical Côtes de Genève stripes plate provides the perfect backdrop for incredible show unfolding on the dial. 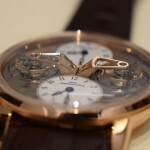 It seems silly to say but you really appreciate these little touches (or lack of them, rather) in person because it allows your eyes to easily focus on all the incredible detail present in the construction of the toubillons themselves, which for me is what technical watchmaking is all about. 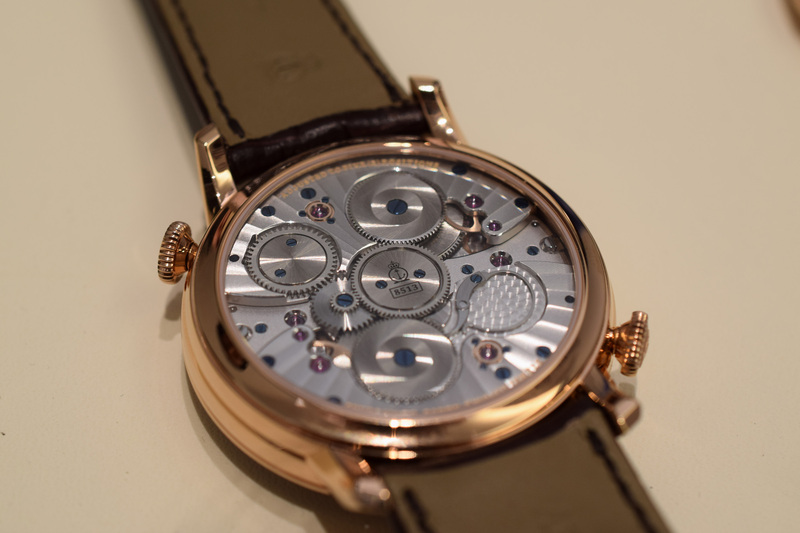 Of course Arnold & Son hasn’t completely overlooked the need for a little fanfare. 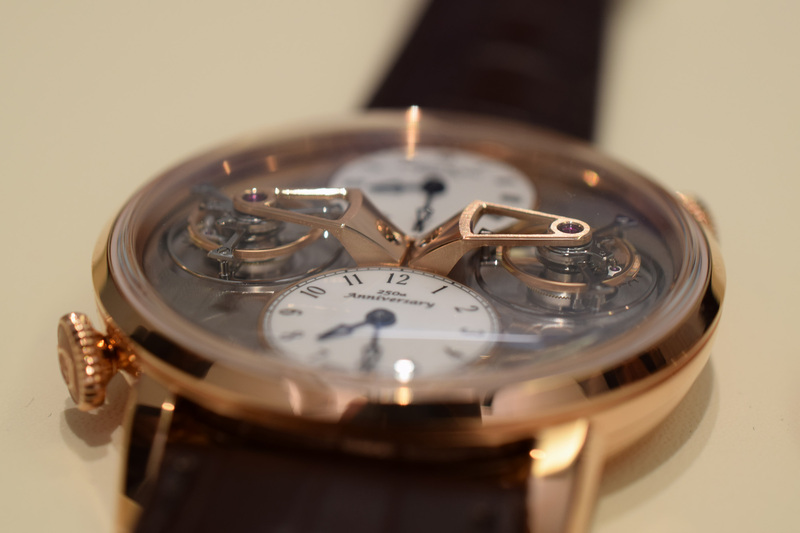 Simply turn the 43.5 mm 18k rose gold case over and you are greeted with the sight of the beautifully finished, aforementioned in-house movement. New for 2014, the manually wound calibre A&S8513 offers a 90-hour power reserve thanks to its double-barrel system. It features hand-chamfered bridges, circular satin-finished wheels, blued screws polished to a mirror finish and looks absolutely spectacular. The tourbillon escapements of course remain the highlight but the finishing of the movement certainly runs a close second. There two crowns – one each for setting the local and the home time – located at 2 o’clock and 8 o’clock, however the two mainsprings are wound using the crown at 2 o’clock. 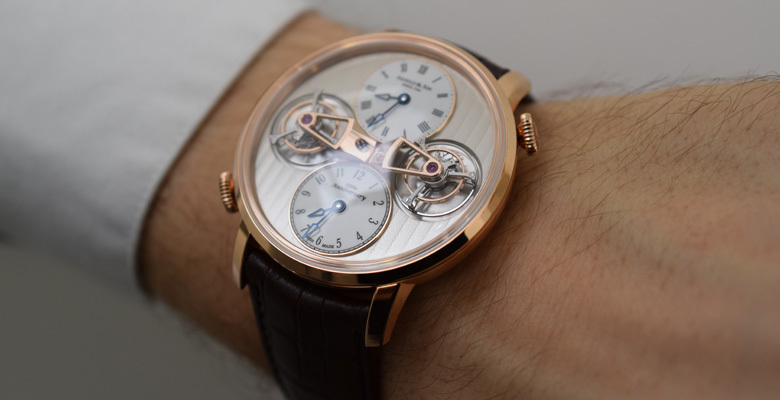 Although the crown locations are slightly unusual – perhaps even a little awkward – I think Arnold & Son have made the right decision, as once again it ensures the symmetry of the dial remains uninterrupted. On the wrist the Double Tourbillon Escapement is very comfortable, especially so due to the supple leather strap holding it in place. 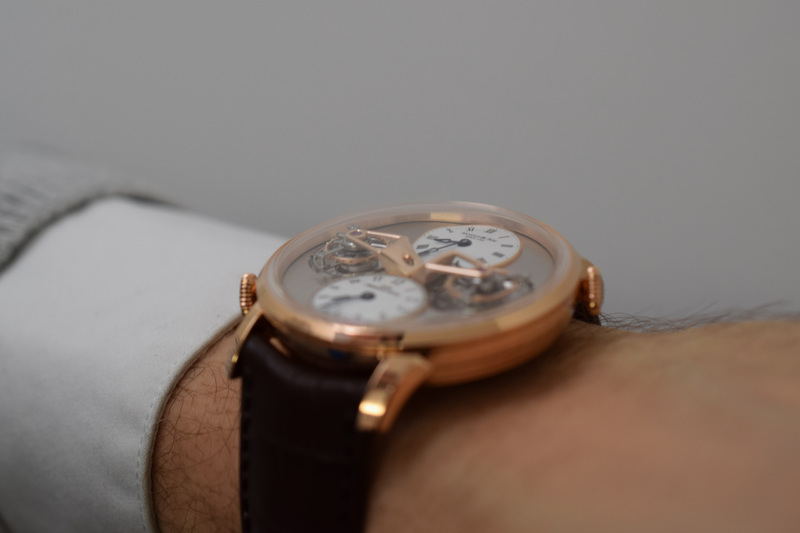 The three-dimensional construction of the dial necessarily means that the case is a little thicker than some of the other models in the Arnold & Son collection, although not noticeably so and I found that is still slips discretely away under my cuff without any fuss for those times when you want to be a little more subtle. That being said this piece is definitely a head-turner and will attract its fair share of attention on the wrist so make sure you’re prepared to explain how it all works! The DTE Dual Time Watch is a limited edition of just 28 pieces and is part of Arnold & Son’s 250th Anniversary celebrations. Pricing is set at US$210,000. 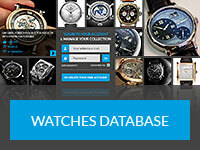 Tom Mulraney is the CEO and Editor of The Watch Lounge, an online magazine dedicated to luxury watch lovers that he founded in 2009. Although passionate about all things horological, he is particularly fascinated by independent watchmakers, often travelling the globe for a chance to spend some “hands-on” time with their breathtaking creations.